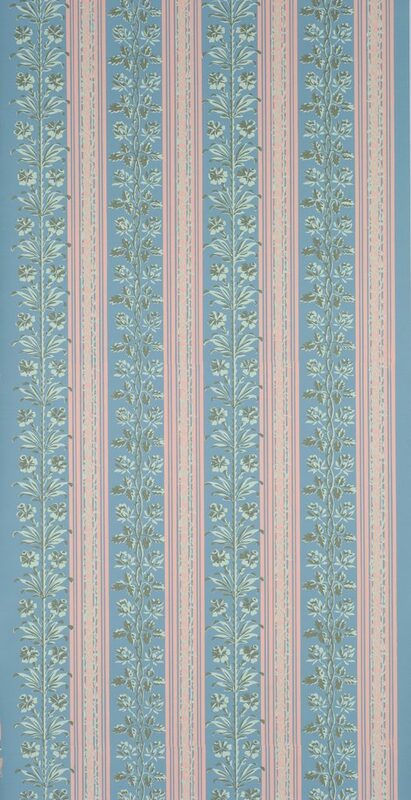 Vine and stripe patterns gained wide spread popularity during this time period. This elegant example was found in the first Harrison Gray Otis House in Boston, now the headquarters of the Historic New England. 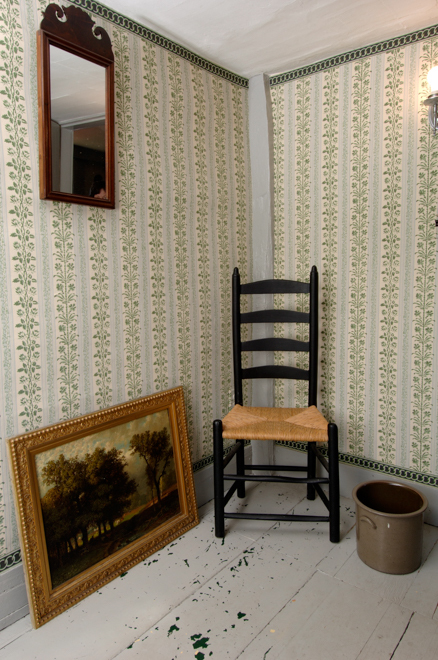 Built by a young lawyer in the mid -1790s, the house was decorated with many small-figured English wallpapers, which were fashionable at that time. 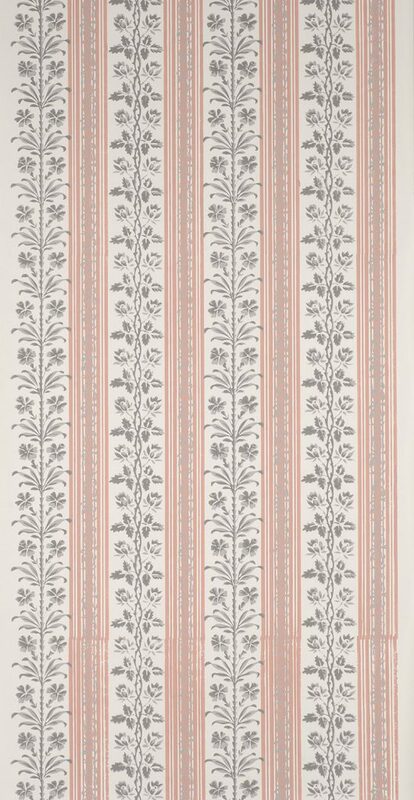 This pattern was hung in a bedchamber along with the Otis Federal Chain border. 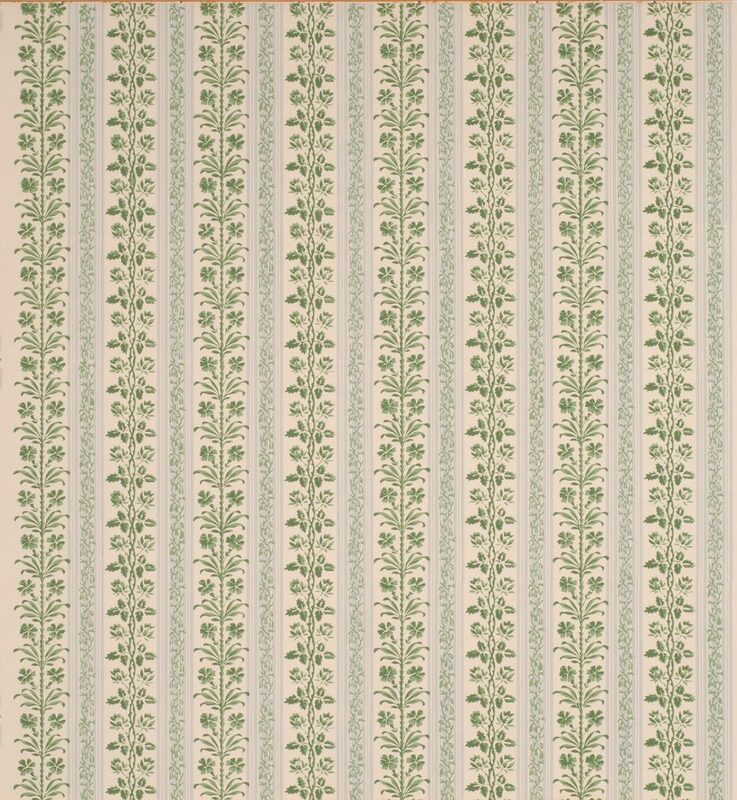 Imperial Measurements: Repeat 2 &frac34; inches, width 21 inches, length 11 yards, straight match. Metric Measurements: 7.0 cm, 53.3 cm, 10 m.